Brief: To design a landing page for a SaaS-based Analytics Tool. 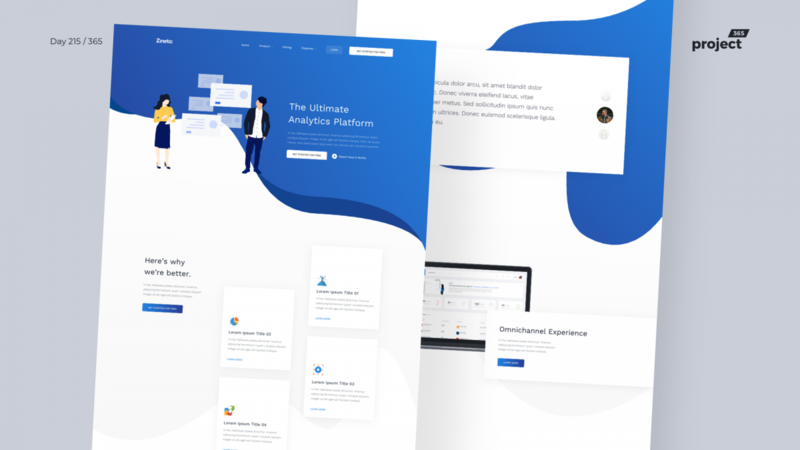 SaaS Analytics Tool – Landing Page. Tried experimenting with shapes and colors. Will explore proper sections for the landing page on the next freebie friday. For now, enjoy this one!